When construction for the Malecón began at the beginning of the 20th century, Havanans didn’t suspect that it would become one of the most important historical and cultural sites on the island. A little over eight kilometers of contrasting blues have witnessed declarations of love, unexpected departures, changes, and new beginnings. Juan Delgado, a visual arts expert with a long career as an art promoter and producer and whom everyone knows as ‘Juanito,’ chose this site in 2012 to carry out his project, Detrás del Muro (Behind the Wall). This invitation to reflect on the sea through creative freedom and experimentation is now in its third edition in this 13th Havana Biennial. Behind the Wall, an idea or a dream? My home faces the ocean, which had always been a dream of mine. I grew up in a very humble neighborhood, Arroyo Naranjo, which is also where Carlos Enríquez1 is from. Maybe I picked up some of the energy he left behind, I’ve always been a very restless person. On the other hand, I love public art, sculpture—I’m a fan of Brancusi2 . I’ve lived here since 2000, and the sea would ask me things and it would also respond, and one day I sat before the sea and said, “We are going to do something to make this city a bit more restless.” Then my eternal adviser Elvia Rosa Castro and I began to brainstorm until Detrás del Muro was born, one Mother’s Day some years ago. At first everyone thought I was crazy. Imagine, public exhibitions along the Malecón. Just managing to get permits was very difficult. I was lucky to have artists such as María Magdalena Campos, Alexander Arrechea, Duvier del Dago, Roberto Fabelo and others who supported this madness. After the first year, I spoke with the sea again and it wasn’t satisfied, so we did a second iteration, with more than 50 artists. This third one will have nearly 70. I hope the sea is happy and gives me strength to continue doing the project, and that one day I’ll attain my dream of reaching the other end of the Malecón and turning Havana into a great gallery of the best of art—not only local art, but universal art. The novelty of this third iteration has been the procedural work of the pieces. For example, Susana Pilar Delahante has been presenting her workshop, Lo llevamos rizo (We wear our hair curly) for a month. On March 26th, Humberto Vélez will arrive and start working on the performance he is preparing; Robertico Fabelo is already working with the actors. Many artists will be working sooner, starting on April 2nd or 3rd we’ll be in the streets. Even if we had everything ready, we would already be on the streets. I don’t find many differences from one iteration to the next. Each time requires a bit more work. It has been about how I want to make good art accessible to everyone: I want people who don’t know about art to learn that good art can be accessible to all of us, even if only for a month. In life, one always aspires to be better, and that is exactly what I have proposed for each of the projects in Detrás del Muro. For me there is no “no,” I always think of the “yes.” Life is a “yes” and thankfully I have an amazing team of young people to whom I impart passion for what we do, and they accompany me in this adventure. 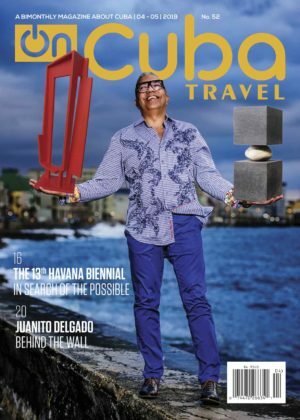 Some 40 international artists are invited, and I have enjoyed working with Cuban artists from the diaspora since the first Detrás del Muro, and they’ll appear in the third one as well, and they will be in the fourth and fifth…. I am of the opinion that we were all born within the letters of A-R-T—maybe one day, I’ll do an exhibition called Cuba es igual al arte (Cuba means art). We have been working on this for three or four years, since the last event in 2015. At that time, Peruvian artist Grimanesa Amorós had arrived in Cuba and she was the first person I invited to this one. I also went to Mexico to talk with Javier Marín, Laurent Grasso, José Dávila. The latter, for example, sent me nine projects. David Magán, a young Spaniard, will also be here. I encourage the artists who work on Detrás del Muro to donate their works to Havana for our future urban museum. For example, this year Xavier Mascaró is going to donate one of his guardian figures; Benjamín Ossa (from Chile) will also do so. Two young Cuban artists, Elio Jesús and Lianet Martínez, will show their graduation theses from the University of the Arts; and this year we will have two projects outside of the Malecón, in the neighborhood of La California. Almost all the artists will exhibit new pieces—maybe one or two will have pieces that have already been shown, but that are not well-known. I can tell you that the piece by Enrique Martínez Celaya is made especially for Havana and this will be his first time to Cuba since leaving when he was twelve years old. Fabelo and Rachel Valdés have done new pieces; Adrián Fernández, an artist who is better known as a photographer, is going to make a great sculpture. I believe that the provocation that I incite in the artists with the Malecón project opens their capacity to project themselves vis-à-vis the sea. Until very recently I continued to receive artists who wanted to participate and I would love to be able to have them, but it’s not possible. People always ask me how I make the selection, how I work with the artists…. I am a passionate person—as Martí said: “without passion, there is no art.” I am one of those. I have always been interested in human relationships, I believe that the artist is a great human being. That prompt to “do what you want while thinking about the sea,” has been the inspiration for each of the artists. Then the work begins. On the other hand, there is talent. I always have to thank all the artists who have worked with me in each of the iterations. Without their passion and their love this dream would not be possible. The challenges are huge! It is very difficult, but I think that Havana deserves it, despite the tornado, despite so many problems. We need a smile, a hug, to cry and laugh and think. 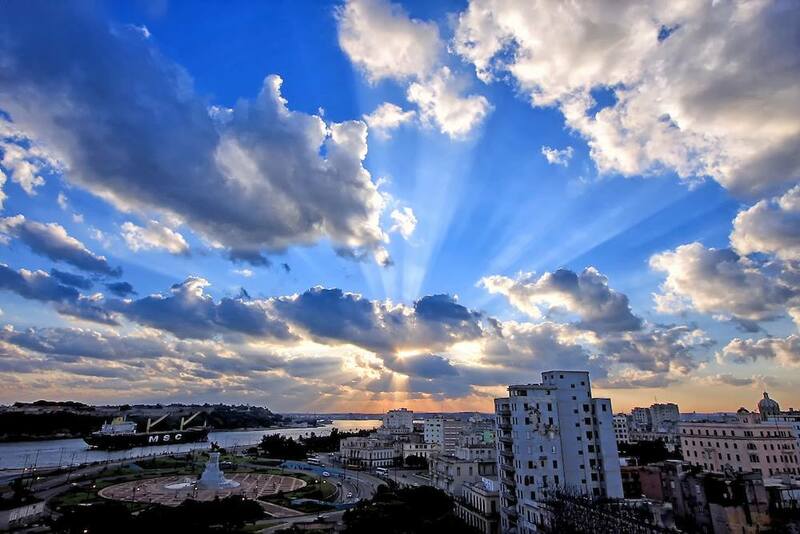 The challenge has been to give the best to Havana on its 500th anniversary. I know that Wifredo Lam, Sandú Darié, Antonio Vidal would be happy. The challenge in art has always been love, wisdom, and talent. The challenge is always to showcase the best, for the applause to come, and hopefully people will enjoy it! I think it will be another challenge to get to Avenida del Puerto, to Prado. The Havana Biennial opened its doors to us in its 11th iteration and has continued to do so up to today; I will always be grateful for that. And I want to talk in particular about the curators of the Wifredo Lam Center. Few are aware of the great curatorial work that goes into an event like the Havana Biennial. People like Margarita Sánchez Prieto, Margarita González, Ibis Hernández, José Manuel Noceda, Nelson Herrera Ysla, and Pepe Fernández—they have all my respect and consideration. Detrás del Muro (Behind the Wall) has become a beautiful word that the whole team came up with together, dedelmu. Like I told you, I’m restless. The team behind Detrás del Muro is interested in working with and supporting artists. We have given talks at the University of the Arts, and we have a lot of involvement with the community. We hope that once our headquarters at Malecón 307 is complete, this will be an unusual cultural center with great exhibitions. Workshops for children or grandparents will be held, lectures on art will be given…. We want to give and teach about art. We would very much like to seek financing to restore and give visibility to the pieces, sculptures, and public installations that people aren’t aware of in our city: the Amelia Peláez murals, the painted tiles at La Rampa, and Cruz Diez’s work in Havana. 1Considered one of the greatest Cuban visual artists of the first half of the 20th century, he was one of the first Cuban artists in what was known as avant-garde art. Among his best-known pieces is El rapto de las mulatas (The Rapture of the Mulatas, 1938) and Combate (Combat, 1941), both part of the permanent collection at the Cuban Museum of Fine Arts. 2Constantin Brancusi was an important Romanian painter, photographer, and sculptor, considered a pioneer of modern art. His pieces can be found in museums in France, Romania, Australia, and the United States.